The phone case is a commentary on both the curious nature of the mobile phone case industry and of the modern dependency and or addiction to mobile technology. I have previously addressed the technology addiction through the development of the ‘Sabbatical Cabinet’, in collaboration with Mathew Little. 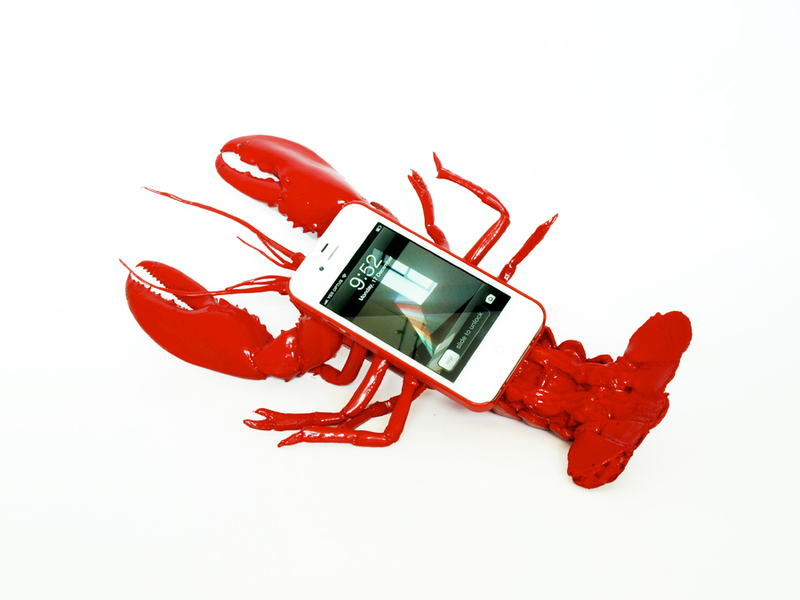 While the ‘Sabbatical Cabinet’ offers an uncompromising break from your devices through the aid of a timed internal locking mechanism, the lobster phone case addresses this similar need to detach yourself from the mobile technology, by being user-unfriendly. 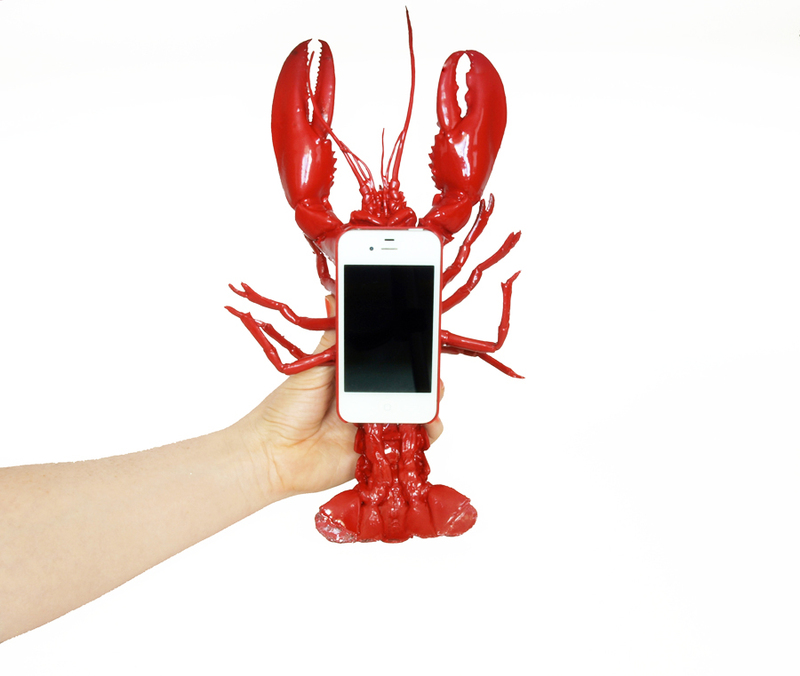 Instead of a locked ‘out of sight, out of mind’ approach, the ‘Lobster Mobile Telephone Case’ presents itself as a deterrent through its awkward and inoperative design. Resulting in minimal enjoyment of function, zero fashion credibility and lastly, reduced mobility for the user. 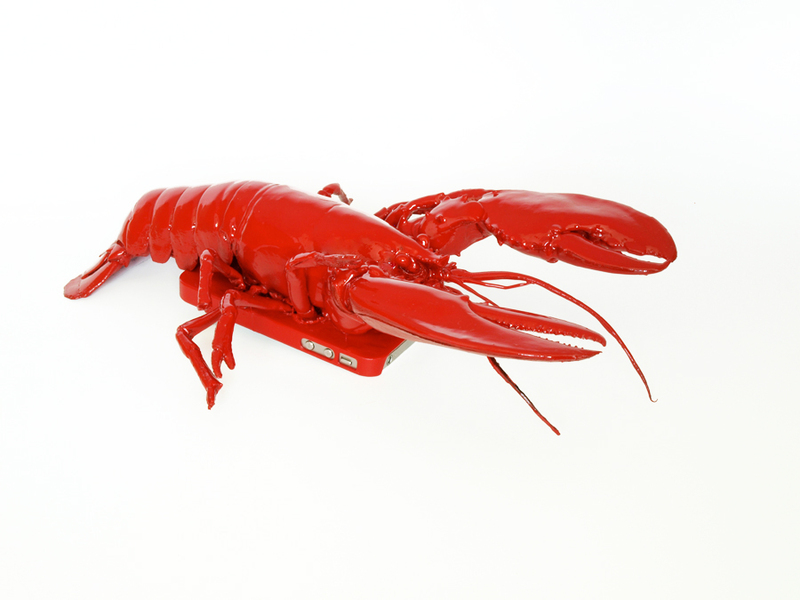 Like most mobile phone cases, it does offer the illusion individualism.